Why wait for new when this one is ready NOW?! 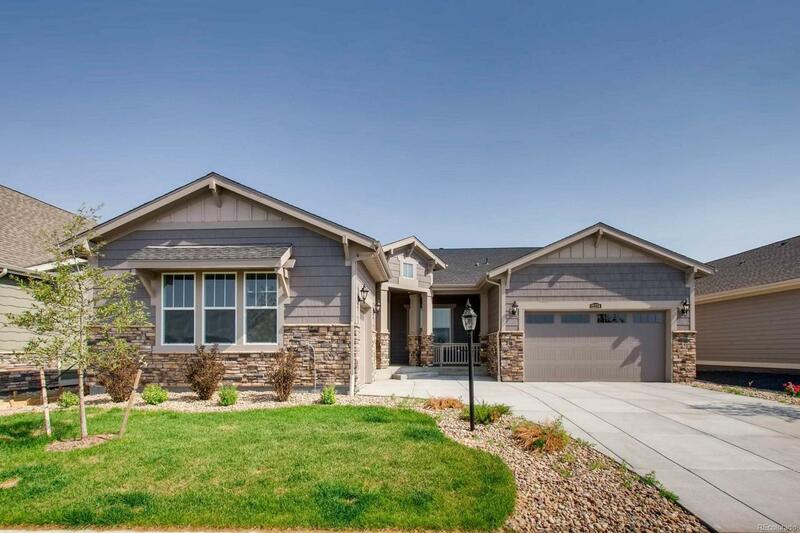 Gorgeous Lennar Irwin model ranch style home in Heritage Todd Creek is located on the 17th hole of the Todd Creek Golf Course and offers an unobstructed view of the course. The finest in Colorado living, this home home has the latest in energy efficiency features combined w/state of the art technology/connectivity all seamlessly blended with luxury. Featuring 2 beds, 3 baths, kitchen, dining room, study/den, 2 + 1 car attached garages and full unfinished basement for your future expansion. Gourmet kitchen with top of the line finishes and stainless steel appliances, professional landscaping as well as surround sound, new tile fireplace surround & new interior custom paint & designer finishes as well as blinds. Backs to open space and close to walking trails. Close to dining, shopping, entertainment & other amenities. Easy commute to DIA, Downtown Denver, Golden, Boulder and beyond. Come see what you have been missing today! Welcome Home!